One of the most effective nail fungus home remedies is the use of tea tree oil. Tea tree oil is a natural fungicide that will kill nail fungus on contact. Tea tree oil is effective in all but the most serious cases of nail fungus. You can mix equal parts tea tree oil with thyme oil and olive oil and rub this blend of oils directly on your nails. Go ahead and rub this one all your nails even if they don’t all have nail fungus. After you apply the oil to your nails you can gently rub it in with a soft brush (like a tooth brush) to help the oils soak into your nail. Scrubbing your nail can also help eliminate the top layer of the nail which contains the most fungus. This treatment should be repeated once or twice daily for a few weeks or until the nail fungus is no longer visible. Another effective nail fungus home remedy is soaking your nails in a mouthwash like Listerine®. The antiseptic properties of the mouthwash will kill any fungus trying to make your nails home. Mixing mouthwash with a strong acid like vinegar or lemon juice will provide a potent mix that can kill any kind of fungus, yeast or bacteria living in your nails. It’s recommended to soak your nails for 10 to 20 minutes once a day for maximum effectiveness. Oregano and olive oil is another natural nail fungus home remedy. In this case you will be using oregano essential oil extract, not the actual Oregon plant. The essential oil has strong antifungal properties that will help kill nail fungus and prevent it from returning. It’s recommended that you only use this treatment once a day for a maximum of three weeks. After your nail fungus is under control applying this mixture once or twice a week can help prevent future nail fungus infection. Is useful to mention that Olive oil as a cure for toenail fungus cannot act alone. The olive oil can not kill by itself toenail fungus but only by mixing with one of other natural essential oils like oregano oil and tea tree oil with proven power treatment effects. A superior quality of virgin olive oil helps only the skin and nails to soften, facilitating the treatment natural oils to penetrate more easily inside the toenail and kill the fungus. One of the most popular home remedies for nail fungus is the use of vinegar. Now you might think that vinegar is a silly way to deal with a fungus but consider a fungus is actually a growing organism. Now if people like you and me need air, water, heat, food, etc. to live, your environment plays a major role in if we are able to survive. The same thing goes for any other living thing. Change their environment and they cannot live. Many a home remedy for nail fungus is based on the principle of changing the living and growing environment so the fungal infection can no longer thrive, grow, and eventually die. 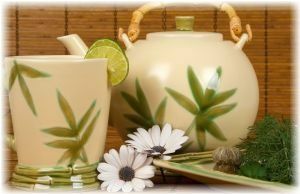 Here are just a few more popular home remedy cures and natural herbs that many people have claimed are effective to treat nail fungus. While some of these work and some definitely do not, what do they all have in common? The answer is that they change the environment on your feet and nails making it difficult for the fungus to live. While this may be a great idea, the only problem is that even the most effective home remedy, which many consider to be anything vinegar-based, is very short-term. Vinegar changes the pH level of our skin, making it difficult for fungus to grow but our bodies quickly adjust that level back. Toe nail fungus is considered a chronic condition, which means that it is common to continue to come back again. Even the most powerful drugs from your doctor to help cure for goal infections cannot completely guarantee that your nail fungus will stay away. The key to using a home remedy successfully to treat nail fungus is to find a fast and easy treatment that can be added to your daily routine. This treatment should include a two-step process. 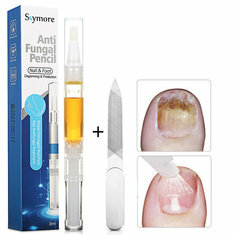 One step to kill off the fungus and another to protect new nail growth from becoming re-infected. How do Those Toenail Fungus Cures Work? 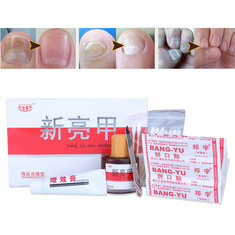 Many people are probably wondering how all those home remedy toenail fungus cures work. The answer is that many simply do not work at all, others are somewhat effective and even a few actually do work well. The thing to remember is that toenail fungus is considered a chronic condition that continues to return to those afflicted. Even the most expensive medications from a dermatologist do not have a 100% success rate. To increase the potential of the toenail fungus, many of the more natural home remedies and homeopathic treatments use a combination of products. Below is a list of the more common home cures for toenail fungus that have been found on the Web. Be aware that none of these remedies have been researched, approved or verified as effective by any of the established medical community. Using a simple hairdryer, keep your feet dry. Fungus prefers dark and moist environments, and by keeping your feet drier, they are less able to support fungal growth. Change the environment and the fungus growth stops or slows. Using deodorant on your toes is the same idea as a hairdryer, change the environment. This time, instead of heat, you change the pH (acidity-alkalinity) of the skin. Deodordant is claimed to work because it keeps the area dry also. I’m not kidding here. Put cornmeal in and around the toes infected with fungus. Once again, this is based on changing the environment so the fungus cannot grow as well. Cornmeal can act as a desiccant which will collect moisture in wick it away from the infected area. I don’t know about this one but it seems to be one of the more popular fungus cures on the Web. Again, the idea is to change the pH environment of your skin to make it more difficult for the fungus to grow. Vicks® toenail fungus cure is simply another in a long line of efforts to kill of the fungus. Bleach is a popular disinfectant used to treat water and clean clothes. Chlorine bleach is also very effective on many household molds like those found in bathrooms. The idea is disinfectant kills mold and mildew, other forms of fungus so why not toenail and foot fungal infections. Tea tree oil is a natural penetrating oil with natural antibiotic and antiseptic properties. 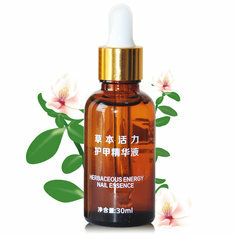 Has been used for your by many homeopathic and natural remedy practitioners. Vinegar changes the pH properties of the skin and surrounding area which in turn makes the area less hospitable for fungus growth. The two step products designed to take advantage of the best properties of the most effective natural remedies. A vinegar-based solution to change the fungus living environment. Then a penetrating oil rich in antiseptic and antibiotic properties is used to protect new nail growth from becoming re-infected. As you can see, the great majority of toenail fungus cures are very similar in that they attempt to change the environment where the fungus grows, making it less likely for the fungi to bloom and flourish. The medical community typically prescribes strong anti fungal medications that work internally to treat the fungus. These products are very strong and it’s usual that blood tests are done to check for liver damage while on the drugs. Always for all the prescription medicines for nail fungus need to have approved by the FDA and your doctor need to give you advices about the contraindications and to use them or not. No matter what treatment or remedy you decide to try, remember that a toenail fungus is considered a chronic condition that usually requires long term treatment and effort to finally get completely rid of the fungal infection.